India has been ranked a low 131 out of 167 nations on a global index that measures the level of information and communication technology access, even as the number of households with Internet and computer has increased in the country over the last five years. UN International Telecommunications Union’s flagship annual Measuring the Information Society Report said that globally 3.2 billion people are now online, representing 43.4 percent of the world’s population, while mobile-cellular subscriptions have reached almost 7.1 billion worldwide, with over 95 percent of the global population now covered by a mobile-cellular signal. The report also notes that the 167 economies included in the ITU’s ICT Development Index (IDI) improved their IDI values between 2010 and 2015 – meaning that levels of information and communication technology (ICT) access, use and skills continue to improve all around the world. India is ranked 131st in the IDI 2015 rank, dropping six notches from the IDI rank in 2010. The report said the Asia-Pacific is the most diverse region in terms of ICT development, reflecting stark differences in levels of economic development. Six economies in the region – including the South Korea, Hong Kong and Japan – have IDI rankings in the top twenty of the global distribution. However, the region also includes ten of the Index’s least connected countries, including India, Pakistan, Bangladesh and Afghanistan. South Korea is ranked at the top of IDI which is a composite measurement that ranks 167 countries according to their level of ICT access, use and skills. South Korea is closely followed by Denmark and Iceland, in second and third place. The IDI top 30 ranking includes countries from Europe and high-income nations from other regions including Australia, Bahrain, Barbados, Canada, Hong Kong, Japan, Macao, New Zealand, Singapore and the United States. The report however noted that India’s mobile-cellular telephone subscriptions per 100 inhabitants was 74.48 in 2014 growing from 62.4 in 2010. The percentage of households with computer in India was 13 percent in 2014, more than doubling from 6. 1 percent in 2010, while the percentage of households with Internet access was 15.33, growing three-fold from 4.2 in 2010. Further the percentage of individuals using the Internet is grew to 18 percent in 2014 from 7.5 percent in 2010 in the country. The report found that by the end of this year, 46 percent of households globally will have Internet access at home, up from 44 percent last year and just 30 percent five years ago, in 2010. In the developed world, 81.3 percent of households now have home Internet access, compared to 34.1 percent in the developing world, and just 6.7 percent in the 48 UN-designated Least Developed Countries (LDCs). Data also showed that growth in Internet use has slowed down, posting 6.9 percent global growth in 2015, after 7.4 percent growth in 2014. Nonetheless, the number of Internet users in developing countries has almost doubled in the past five years (2010-2015), with two thirds of all people online now living in the developing world. The fastest growth continues to be seen in mobile broadband, with the number of mobile-broadband subscriptions worldwide having grown more than four-fold in five years, from 0.8 billion in 2010 to an estimated 3.5 billion in 2015. The number of fixed-broadband subscriptions has risen much more slowly, to an estimated 0.8 billion today. Over 95 percent of the global population is now covered by mobile-cellular services, meaning that there are still an estimated 350 million people worldwide who live in places which are still out of reach of a mobile network – a figure that has dropped from 450 million a year ago. 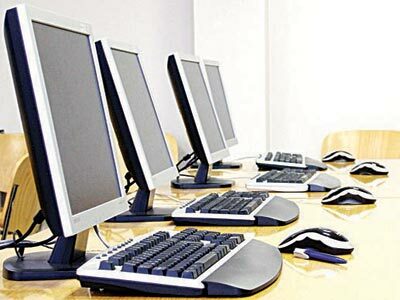 The report notes that the proportion of households projected to have Internet access in 2020 will reach 56 percent adding that more needs to be done to increase the number of Internet users.